Updated every 3 months . 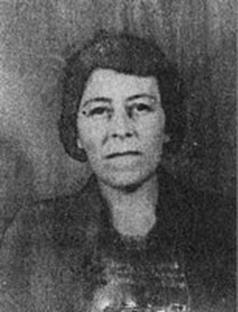 My Great Grandmother Gilone Blaise nee Lancian. 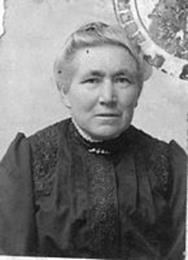 Born in Guingamp, Brittany, France 1860. Died 1941 in her 81st year. 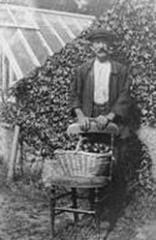 My Great Grandfather Yves Francois Blaise. 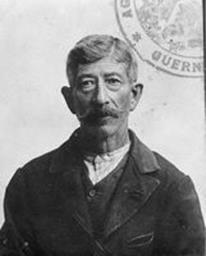 Born 1859 in St Brieu, Brittany, France. Died 2nd Jan 1923 aged 63 and 6 months. My Grandfather and Grandmother. 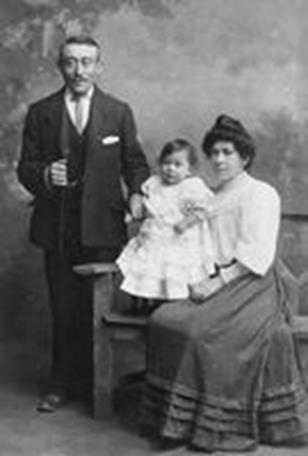 Maria Blaise born in St John, Jersey, married Francois Yves Bougeard born 1876 in Le Greve, Brittany France. His occupation was a stone mason. 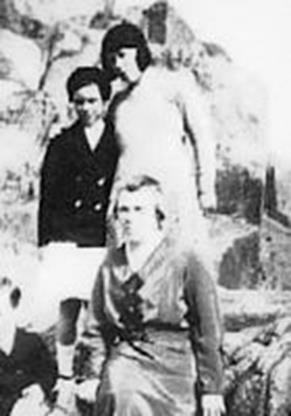 The picture is taken with their first child my mother Eva Marianne Rose Bougeard born in Guernsey. 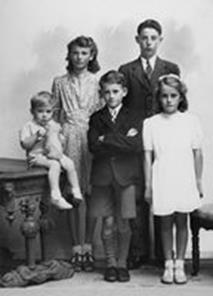 My mother was six years old and her mother was twenty-four years old when Francois died. 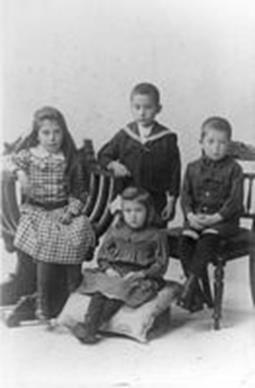 Above: Left to right in order of age is my mother Eva, her brother Frank, her brother Fred and seated in the front her sister Kath. One picture has their mother in it. Kath the youngest was able to leave first when grandma Blaise took her to live with her but Kath was treated very harshly almost like a slave sad to say. Luckily at a young age she married her husband Bill Clarke and they actually lived with Grandma Blaise for a while. 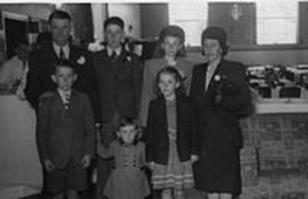 My mother said that every time she met up with her brother Frank in the orphanage he would tell her that he was saving his bread so that he could creep out at night to steal a boat from the harbour to take them all back to Guernsey to be united with their mother. 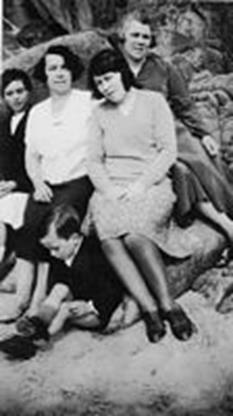 Finally when my mother was fourteen her mother returned and now was able to take them all back to Guernsey to live as one family, they were all so happy and remained very close all their lives. 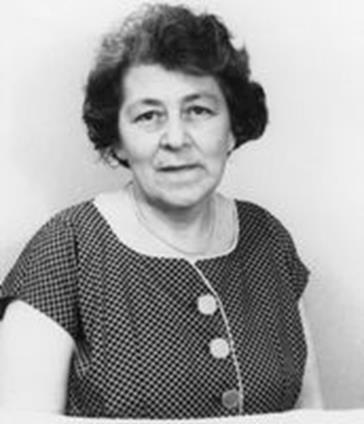 My mother Eva Marianne Rose Bougeard aged about eighteen. She later married my father Richard Troy at the age of twenty-six. 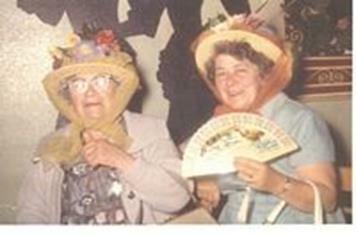 Above: My Gran with my mum with their home made Easter bonnets in Guernsey and right my mum with Nicola, JJ and Marianne. 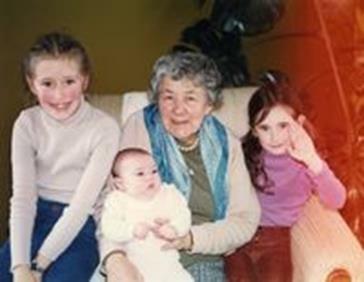 Above: Nicola , JJ and Marianne with their Gran. If you have any comments you would like to add about anything on this website please contact the website administrator. She was always ready to come and help especially when our children were ill when little. web site has started . My mum’s brother, my uncle Fred at work as a tailor and he featured in a book titled “Craftsmen at work” by John Norwood. Before the war he worked on the completion of Jersey airport till 1937. During WW2 he was a tank driver and after arriving in France after D Day he was transferred to the Intelligence Corps as a translator because he could speak French. The just completed Jersey Airport 1937 that he worked on. My grandma with her daughter my aunty Kath. My mum’s mother on her 90th birthday. 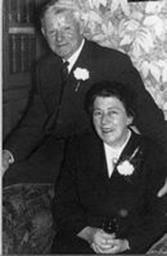 Born in Jersey 26/04/1888 died in Guernsey 6/07/1978. My mum was always cheerful at the end of her hard life and loved us all our lives.. The Sacre Coeur chapel where they prayed together. It has been brought to my attention that there is a book that I have not read yet called “Nobody came” which is an account of sexual and physical abuse that occurred at the Sacre Coeur Orphanage here in Jersey. 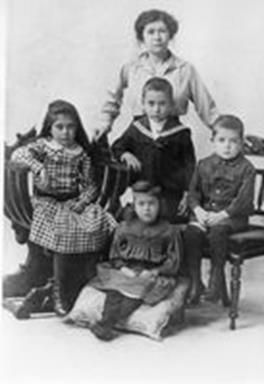 Having questioned my older brothers and sisters I can confirm my mother never mentioned anything but praise of her time there (1913 to 1921 ) and remained friends with other children there all her life. One became my godmother and three became nuns, one still alive today. I am not sure what decade this sad book is written about but if this is all true names should be named and the police should investigate and justice done. I will read the book and comment. Thank you Lisa ( from Australia) for contacting me about this. I have now read the book which refers to a time in the 1940s and 60s (not my mother’s time there), read Sister Ida's Affidavit (Jersey Care inquiry), spoken to Pat Lucas and I'm assured that there is no truth in the allegations of abuse made in this book. Please contact me if you would like me to convey any questions to Pat for clarification about this book. 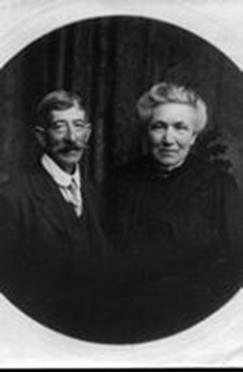 My GGrandmother Gilone Blaise (nee Lancien) born 17/12/1860 died 11/03/1941married Yves Francois Blaise. She was our Great Aunt Le Vey’s sister of Stafford House Trinity Hill where Anne and Dennis were born. 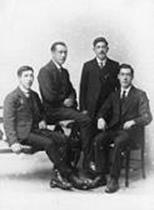 The Blaise brothers Emile, Frank, Jean and Yves. Yves Blaise first cousin to my mother. Always lived in France and brought up by Alice. Val and I stayed with her in her flat above the fire station in Guernsey when we were single. I shared a bedroom with my cousin Vaughan and Val slept in a double bed with Gran. Val was only sixteen and Gran was lovely to us. She always put others first. Getting on the tram at the MOTAT museum in Auckland I discovered the conductor in the background was Guernsey man Mr Bougeard a relation of ours. My mum’s brother my uncle Fred moved to England and his family’s (my cousins) name changed to Bogard as most people there could not pronounce Bougeard..